David Grann fans have been waiting for his next book – much as I have – impatiently for some time. After the both fascinating and adventurous Lost City of Z (with the movie coming close to release), and the entertaining and thrilling collection of articles, The Devil and Sherlock Holmes, Grann turns to a new subject, the Osage murders and the birth of the FBI in Killers of the Flower Moon, a story that is both sobering and compelling. Few may be completely familiar with this unique story, but by the end of the book, will be unable to forget. As a New York Times staff writer, David Grann is used to diving very deep into a story, and not coming up for air until he’s gleaned every detail and piece of evidence he can from it. In the 1920s, the people of the Osage Indian Nation of Oklahoma were among some of the richest on the planet because vast amounts of oil was found on their land. For the oil tycoons to get at that oil, the Osage had to be paid and paid well. And then, strangely, hauntingly, members of the Osage began to disappear one by one; bodies turned up, dead, mutilated, horribly murdered. And for those that chose to investigate, they often met an unexpected end; the local law enforcement were not required to do anything about it, choosing to turn a blind eye. The fresh and new Federal Bureau of Investigation, run by a young director, J. Edgar Hoover, wanted to put a stop to this, to end these horrific killings, and make the bureau look like the shining beacon of law enforcement and protection that Hoover wanted it to be for the American people. Hoover tapped the shoulder of a former Texas Ranger, one Tom White, to try to get to the bottom of the mystery. What follows is the riveting story of how this was done, how the perpetrators were found, how the murderers were eventually, finally brought to justice, and how those of the Osage nation were able to find some peace in all this death. Grann’s Killers of the Flower Moon is one of those books that goes beyond a story, to something greater and more important. The reader is left wondering why we don’t all know this story, why it isn’t taught in history classes, why more hasn’t been done for those who have already suffered so much. One hopes Grann will receive some weighty awards for this moving book, as it will serve to get many others across the world to read it and learn of this incredible and tragic story. To purchase a copy of Killers of the Flower Moon from Amazon, and help support BookBanter, click HERE. Inflection Point: How the Convergence of Cloud, Mobility, Apps, and Data Will Shape the Future of Business examines how businesses can leverage the trends occurring, and changing, every day in the information technology (IT) field. It examines the success and failures of businesses impacted by inflection points. Written in terms the average layman can understand, Inflection Point is a fascinating look at the birth and transformation of IT trends in the business world. I couldn’t help but compare Inflection Point to Malcolm Gladwell’s The Tipping Point, which examines trends and why they become popular in society and popular culture. In much the same way, Scott uses former Intel CEO Andy Grove’s definition of an inflection point: “an event or a series of interrelated events that result in a significant change in the progress of a company, an industry, a sector, an economy, or even a nation,” which is very similar to Gladwell’s definition of a tipping point: “that magic moment when an idea, trend, or social behavior crosses a threshold, tips, and spreads like wildfire.” While Gladwell examines this phenomena from a sociological perspective, Stawski examines it from an IT and business perspective. Scott breaks down how companies can anticipate inflection points within their respective industries and how they can stay ahead of the trend wave. Additionally, he provides real-world examples of businesses that have succeeded or failed, based on their ability to recognize and adapt to inflection points. He highlights steps taken by companies whose CEOs or COOs have embraced changes in technology and taken their companies to the next level while their competition floundered and failed. He provides a detailed explanation and description of cloud computing and encourages companies not to worry about ‘how’ it works, but, instead, focus on the fact it works and what the expected outcome should be. This is good advice for the average person as well as the CEOs and COOs of the business world. You don’t have to understand combustible engines to get in your car and drive. Scott also does a very good job of addressing the issue of security with regard to cloud computing. In the age of compromised data, when everyone is affected by the IT breaches of Target and the government’s Office of Personnel Management, security should be at the forefront of everyone’s mind. He highlights that the majority of data breaches have occurred against businesses employing the traditional IT model. By breaking down the different cloud computing models, he explains how security can be leveraged at each level of useage. Although written from a business perspective, Inflection Point is an extremely useful analysis of changing IT trends for the average person. Scott uses simple, easy-to-understand language to explain the current trends within the IT enterprise – cloud computing, Software as a Service, and Big Data. He incorporates real-life experiences from his personal life as a hobby sailor, as well as his professional life as a consultant, to draw analogies between how we use IT in our personal life and how businesses can use IT to further their interests. 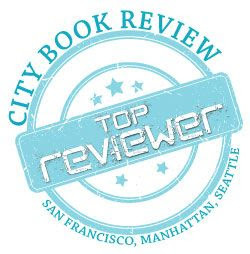 First published in the San Francisco Book Review. Originally written on April 20, 2016 ©Alex C. Telander. 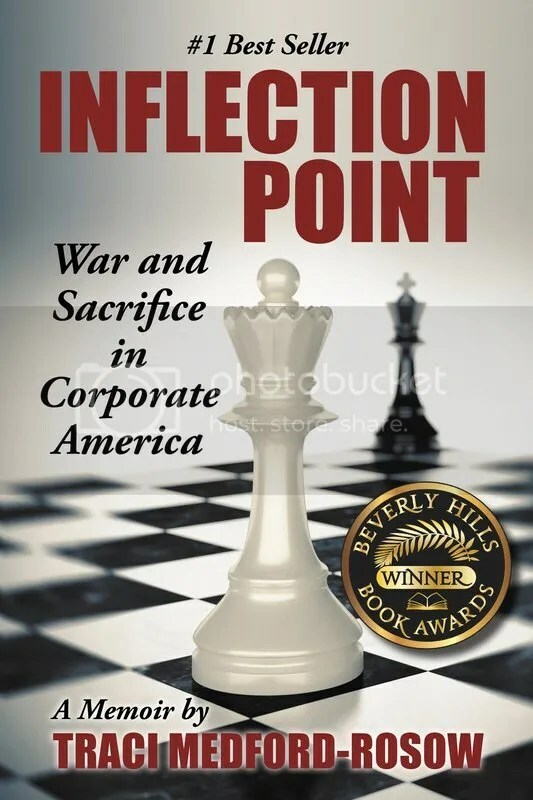 To purchase a copy of Inflection Point from Amazon, and help support BookBanter, click HERE. When you think of the Wright Brothers you think of the guys who flew the first plane and were the key pioneers in the development of flight. 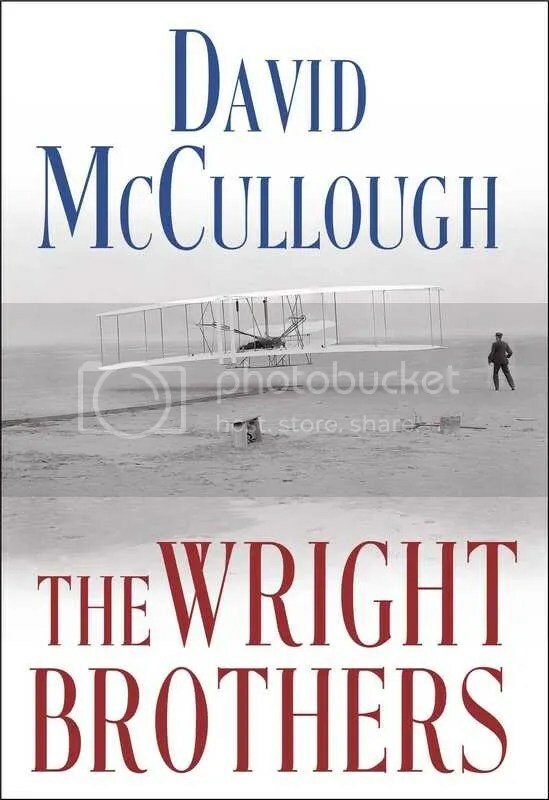 You may also get an image in your mind of that particular biplane depicted on the cover of David McCullough’s new book, The Wright Brothers. It was on a winter’s day in North Carolina that the two brothers, Orville and Wilbur, successfully completed the first manned flight and created history. But what were the events that led up to this historic moment? David McCullough is a skilled historian when it comes to covering renowned people, and in this relatively short 336-page book — for McCullough — he does an excellent job of covering the Wrights’ story from birth to death. He begins with the family moving to Dayton and how the brothers, in addition to spending most of their time together, were workaholics who worked Monday to Saturday, and then after church on Sunday, spent their time working around the house. When they were together, no problem could go unsolved with them putting their minds together. One of their early businesses was a bicycle company, with the growing popularity of this mode of transportation, which became extremely successful and profitable with the sale of bikes, as well as repairing. As their obsession with flight grew and developed, they would spend summers in Kittyhawk, working on their planes, subsidized by the profits from their bicycle business, which they would run during the rest of the year. Their sister, Katharine, soon joined the team and became an inseparable member until the later years of their lives, traveling with them around the world and helping with the administrative side of the business. McCullough does a fantastic job of pulling from multiple primary sources to shape the story of this unique family, with diary entries, letters, articles and numerous photos. He doesn’t just tell the story of flight, but shows the full lives of the Wrights; how they interacted with each other and lived their daily lives. McCullough makes the Wrights feel like real people, making their achievements all the more incredible. The key point the author makes repeatedly is that the Wright brothers were the ultimate American entrepreneurs, with no training or experience, but simply taught themselves, using a process of trial and error, until they made a contraption that could lift off from the ground and fly through the air for an extended amount of time, making the crucial foundation for flight that has led to the magnificent jet engines crossing the skies today. Originally written on July 10, 2015 ©Alex C. Telander. To purchase a copy of The Wright Brothers from Amazon, and help support BookBanter, click HERE. Perhaps the most exciting thing about The Living Years, other than the kickass cover, is the subtitle: “the first Genesis memoir,” which hopefully is more than an advertising ploy, but a foreshadowing of future biographies to come. The book is only 250 odd pages long, which is kind of an ideal length for a music biography, as Rutherford doesn’t spend too long waffling on about old stories that just loose the reader. 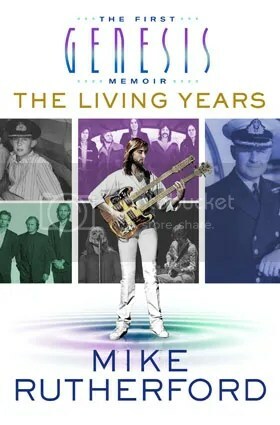 The Living Years is a biography of the founding member and eventual lead guitarist of Genesis, Mike Rutherford, but it is also his introspection into his father’s life and career, which he didn’t really know about until his father passed away. Hence, the title – if you know the Mike + the Mechanics song – is perfectly fitting. Rutherford begins with his birth and upbringing and then his meeting friendships with some teen musicians at Charterhouse. 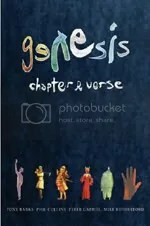 He then takes the reader in a complete overview career of Genesis, touching on each album, and paying attention to each band member leaving and what effect it had on both the band and himself. Throughout the book he includes short paragraphs from his father’s journal looking at where Rutherford’s and his father’s life and career crossed over in a way. The Living Years is a great read. Rutherford has an enjoyable easy-going voice that immediately engrosses you. The chapters are nice and short and the story moves along at a good clip, not giving the reader a chance to get bored. But Mike also has plenty of stories and anecdotes to tell and doesn’t hold back when it comes to commentary on “drugs and rock’n’roll.” Rutherford has no reservations, telling it as it is, in this fascinating look at one of the biggest rock acts in the history of music. Originally written on March 23, 2015 ©Alex C. Telander. To purchase a copy of Get in Trouble from Bookshop Santa Cruz, and help support BookBanter, click HERE. There have been many books written about the notorious explorers from history, like Columbus, Magellan, Cook and even Darwin. There are also now a fair number of people who can make the claim that they have circumnavigated this globe. Joyce E. Chaplin presents readers with the first full history on those who have traveled around the world and told their story. Divided into sections, Chaplin presents the series of historical tales starting with Magellan, giving the ups and downs of the journey. She points out that it wasn’t until the twentieth century that these round-the-world trips actually returned to their starting point with most of the crew still alive. All the greats make it into this book, such as Francis Drake, William Dampier, Louis-Antoine de Bougainville, and James Cook. When sea travel became safer, people like Charles Darwin made the journey, as well as some notable women like Lady Brassey. With the advent of encompassing railroad travel and exotic cruise ships, round the world journeys became much more achievable and common for a lot of people. And with the advent of the space race, a new concept of circumnavigating the globe came into play, with an elite few achieving it. Chaplin has fun exploring these many journeys and why people seem driven to accomplish it. While her writing can get a little dry and long-winded at points, Round About the Earth still represents an interesting foray into this unique group of travelers. Originally written on February 11, 2013 ©Alex C. Telander. 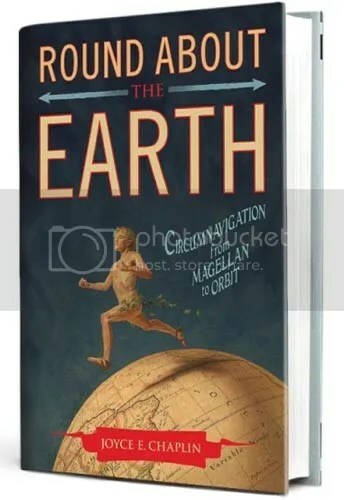 To purchase a copy of Round About the Earth from Amazon, and help support BookBanter, click HERE. With the passing of popular author Christopher Hitchens on December 15, 2011, the world lost a powerful voice in the writing world. It began for Hitchens on June 8, 2010 while on a book tour when he was brought down by extreme pain in his chest and throat. It was then that he was diagnosed with cancer, and began a rigorous series of treatments and chemo therapy to try to get rid of the cancer and bring him on the road to recovery. 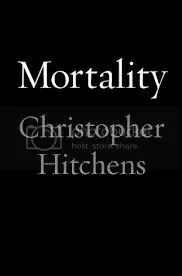 It was a long hard struggle, and while at points Hitchens’ health did seem to improve, ultimately the cancer was too much for him. Mortality is a collection of his writings and award-winning columns published in Vanity Fair. They are his notes, thoughts and ideas, philosophies on life and his swiftly approaching mortality. They are unavoidably moving when one considers who is writing down these words, akin to Randy Pausch’s The Last Lecture. Some might be looking to see if this staunch atheist turned to some divine deity as the days of his life grew short, but there is little in here of that; it is more the words of a man who knows he will soon die, and what that means to him, his wife, his family, his friends. In the afterword, his wife recounts how he was always the one to have the last word, and now she is doing the job . . . and yet she admits, this isn’t really true, as every time she picks up a book from their great library, in the margins and on the blank pages, she finds Hitchens’ words everywhere. Originally written on October 23, 2012 ©Alex C. Telander. To purchase a copy of Mortality from Amazon, and help support BookBanter, click HERE.